The impressive estate is quite breathtaking. It has 144 hectares (355+ acres) of which 100 hectares dedicated to the most important grape in the region, Sangiovese. 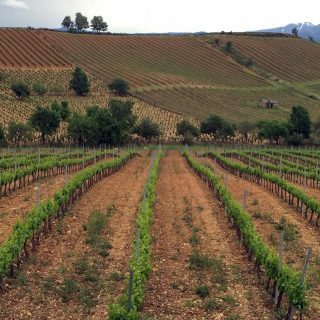 Their flagship wine is one of the most notable vineyards in the entire appellation, Poggio al Vento. Wine from this vineyard is only produced in the very best years. Poggio al Vento means windy hill. 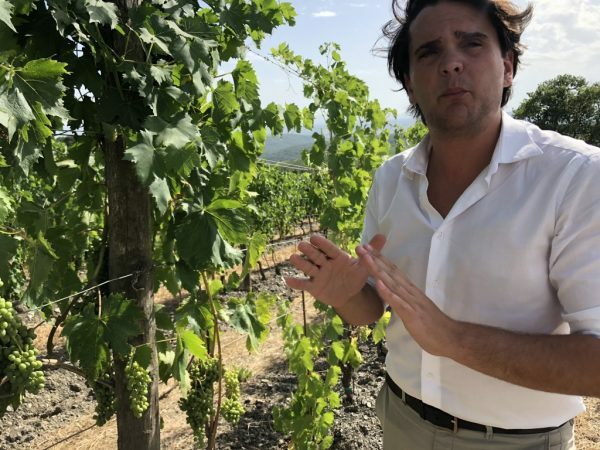 This combined with the aspect on the hill and the soil composition produces a superb Brunello as experienced in the wine by the name of the hill. We begin with a barrel tasting which is not an experience you will get often in the region. Every barrel is numbered and holds 10,000 bottles. 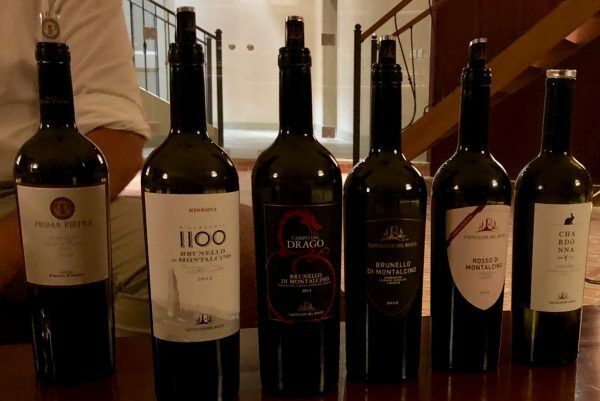 The documentation is key to making a Brunello di Montalcino and will be required to support the certification process. First, we tasted a 2015, which is at its last year out of the three years minimum window before it can be aged further in the bottle. Each year is very different from the one before. The fruit is every presence but even with neutral oak the tannins tame with time. There are several tasting experience options to choose from each tailored to your desired time and experience. Today it’s a tasting of eight wines and lunch made by the winery. The personal tour was incredibly informative. 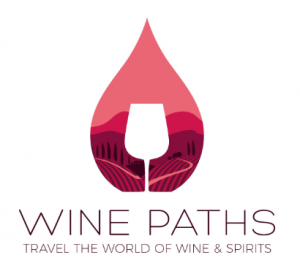 When a winemaker or vintner loves what they do their passion shines through. It’s contagious and intoxicating. The property is picture perfect… what you might imagine in your mind’s eye. Soft rolling hills, a Cyprus lined trail leading to the hills beyond and, the clouds and sky blue with fluffy cotton ball clouds. An adventure in agriturismo, Col D’Orcia as a grower showcases the fruits of their efforts. They grow and sell their own farro and make pasta with it all organic. And best of all they grow truffles. Delicious, delectable, divine aromatic truffles! The initial structure was built as a sentinel, a shelter for the people of Montalcino in about 1100 AD. It’s had many iterations over the years. Today it is owned by Massimo Ferragamo, a son of Salvatore Ferragamo who is Chairman of Ferragamo USA. He initially came to the area to buy an old winery, but the winery was in the midst of a ghost town. When he found the current property he was elated. Not only was the purchase of the ancient cellars of Castiglion del Bosco not suited to modern-day winemaking, but it was also desolate. Massimo Ferragamo began looking for an alternative. 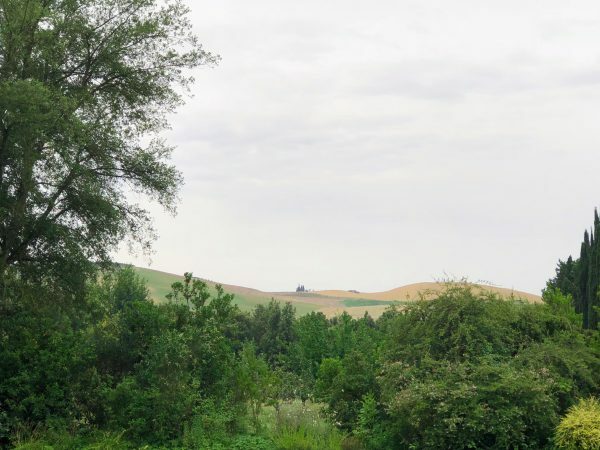 He discovered a pristine 5,000 acres with unobstructed views that reminded him of the type of property only available during medieval times. The parcel had not been divided and he could create a community. He became heavily invested in the location building a world-class members-only golf course, a luxury hotel (owned by Ferragamo but run by Rosewood) and the winery in 2003. Today’s winery is built partially into the hillside. It sits on two levels. 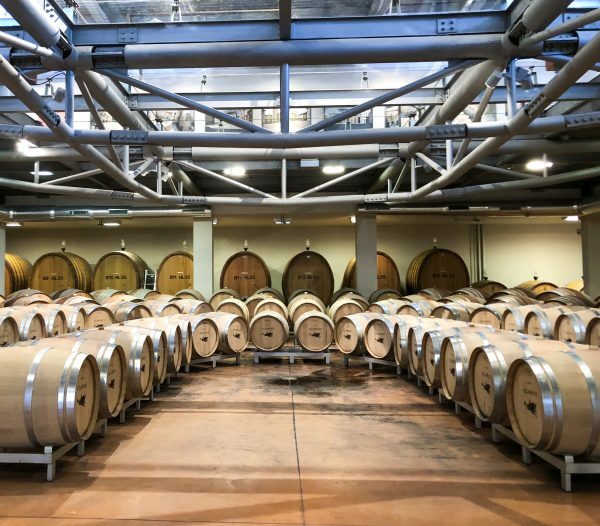 The capacity is 3,000 hectoliters or 79,252 gallons of wine. This is a very serious business. My guide on this journey is Guido Dispenza. I’ve been instructed on the rules of Montalcino. You can only grow the grapes within a very particular area and you can only grow Sangiovese vines. The vines were introduced in ancient times (The Middle Ages). The first Brunello in of Castiglion del Bosco was produced in 1964. 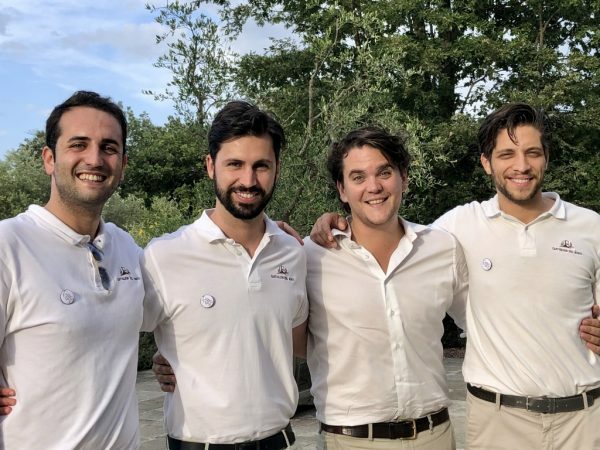 In just 3 short years the Brunello di Montalcino Wine Consortium was founded and Castiglion del Bosco was a founding member. Their most important vineyard is the Campo del Drago vineyard depicted below. High atop the hill, the earth is nutrient poor and very rocky. The vines have to stretch about 5-6 meters down to seek out nourishment. How this affects the wine is the result will be a lean, but well-structured wine and very elegant. With a nice vintage of Brunello Riserva, you can age it up to 25 years. They do grow some of the noble varietals Merlot, and Cabernet Sauvignon closer to the coast near Bolgheri. 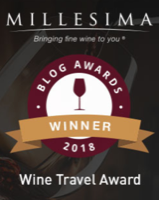 Millecento Brunello di Montalcino Riserva 2012 I found this wine full-bodied, excellent structure and balance, with delicious black fruit, mocha, excellent acidity, and a beautifully elegant finish. 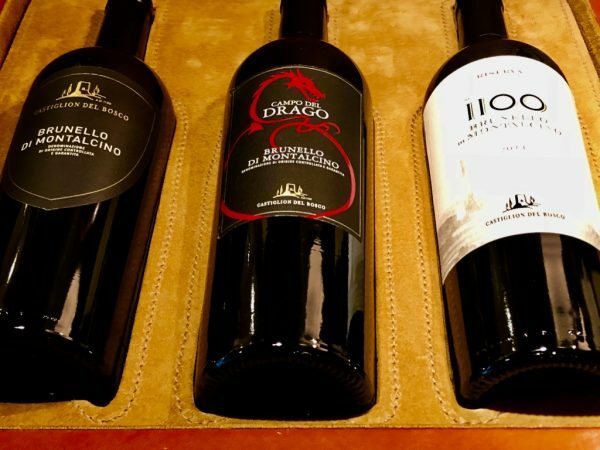 Campo del Drago 2013 Brunello Montalcino: A delightful adventure of fruit and spice. Solid structure, good balance and a great representation of Brunello di Montalcino. This time I am driving to Montepulciano, just outside of the border of Umbria. The town of Montepulciano is located at the very top of a hill that overlooks most of Tuscany. Rich with history, the fortress was coveted by both Siena and Firenze, so many battles were fought in this area. The city is so well maintained that several Hollywood films have used it as a backdrop for movies including Twilight, Medici and of course Under The Tuscan Sun. Today’s village is filled with beautiful shops, eateries, and piazza. 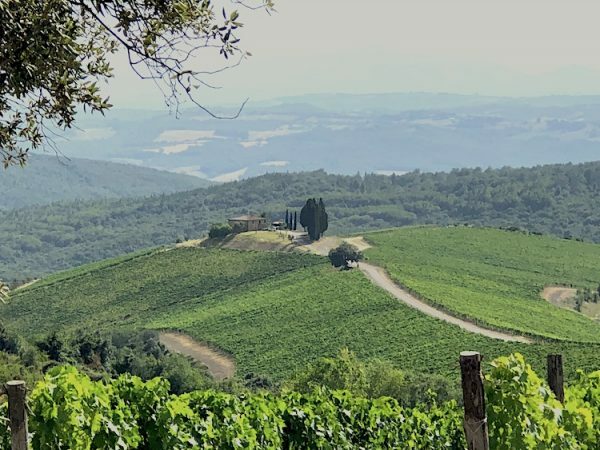 The breathtaking views alone are a great reason to visit, but I am here today for just a few hours and am tasting wine at Icario with the delightful Ilaria Ippoliti (I highly recommend you spend at least a couple of days here). The background on Icario is pretty compelling. 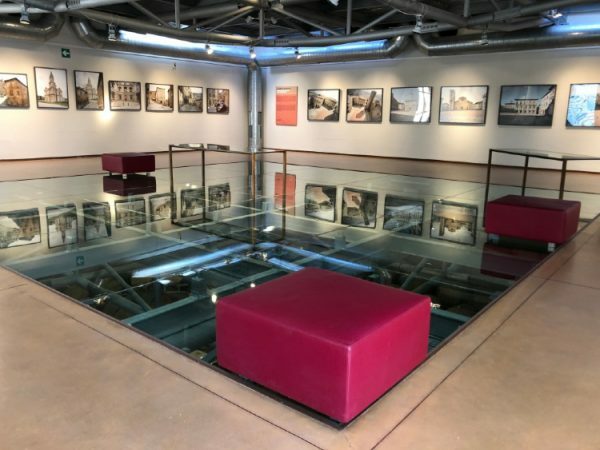 The Icario art gallery with glass floor looks down into the barrel room. 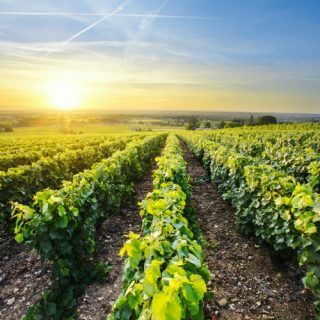 Started by a German Industrialist, Mr. Rosenbloom, the vineyards are located 450 meters above sea level and sweeping views showcase all that the region has to offer. With over 52 hectares of vineyards, their wines are a delicious blend of depth and balance. They are an artisanal wine producer has incorporated organic practice into their winery business. This is a place for wine and art lovers. Why? First the winery itself. Is a work of art. Perched high above the valley this modern-esque winery is a tribute to Italian artists and artists around the world. Featuring a first-floor small open art gallery floats above the winery with a see-through floor. It’s a tribute to the talents that lie within these walls. The art changes monthly and includes photography of some of the Renaissance architecture in Montepulciano. The story of Icario is he was a regular citizen and according to Greek mythology, he was the man who gave the gift of viticulture. Before, the viticulture was only for the gods or so the story goes. The symbol of the Pegasus comes from an old building in Montepulciano which is decorated with pieces of the Tuscan town’s old buildings. They were inspired by one of those images. In winemaking, they use the big barrels, particularly for the Sangiovese. Vino Nobile di Montepulciano is the appellation. One of the oldest appellations in Tuscany. There is documentation showing that the age could be as old as 789 AD. Pope Paul III’s wine adviser, Sante Lancerio determined the wine of Montepulciano “suited to the taste of gentlemen” and “very perfect”. It was a warm day on my visit to Icario. 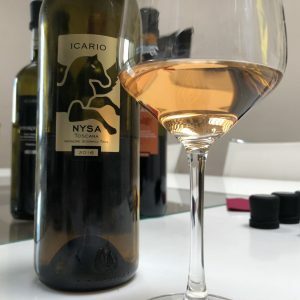 I found this 2016 Icario NYSA Toscana blend made with Gewürtzraminer, Pinot Grigio and Pinot Nero a delightful blend. Luscious, citrus, nice acidity and perfectly refreshing. Within walking distance to the winery is the Icario Villa. This two-story villa is delightfully appointed and has an infinity pool overlooking Val di Chiana. Chiana cattle are indigenous to the valley of Val di Chiana. The winery is located in a natural oasis. No fences and it’s apparent with the lively wildlife and birds that sing in the background. Thinking of spending time in Montepulciano? You’ll find yourself quite at home by staying in their luxury residence, Villa Icario. The Villa has two buildings. The main house is a renovated rural palace, perfect for entertaining and with well-appointed contemporary furnishings. The smaller building near the pool is a cozy cottage. 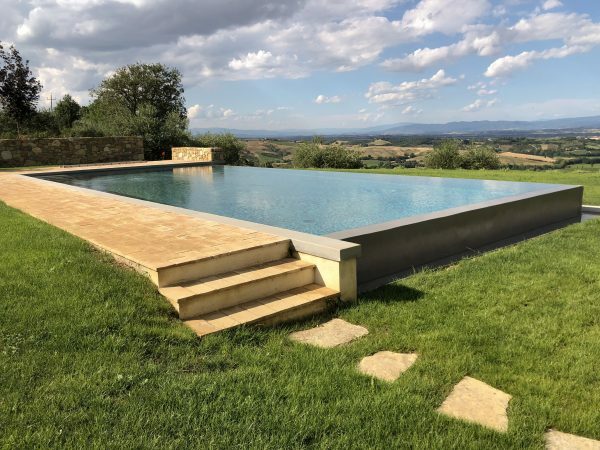 There is a stunning garden with roses and jasmine, but also a delicious infinity pool overlooking the Icario Vineyards and the valley below. Great post, Kelly! Looks and sounds stunning… I need to get to Tuscany!